Lupus and Anemia: What Is the Connection? Have you been feeling much more lethargic lately than normal? Lupus fatigue is an everyday battle, and as a fellow warrior I know it is hard to determine if your body is dealing with a new issue. But, anemia is very common in lupus and it is one more thing to look out for. According to the Lupus Foundation of America, anemia affects about half of all people with active lupus, and fatigue is usually the first and most common symptom. Many people with lupus are chronically anemic and many report low red cell counts off and on since childhood. So, perhaps it is just one more thing that came and went and your doctors throughout your life never made the connection to lupus. What Is the Connection Between Lupus and Anemia? Different doctors may use different terms to define it, but it means essentially the same thing. 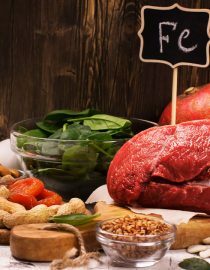 In the most important sense, anemia means too little hemoglobin — which is protein inside red cells that carries oxygen from the lungs to all the tissues of the body. Normal red blood cells are constantly being reproduced by the bone marrow within your body. This is because those cells only have a lifespan of about four months and need to be constantly replenished. Inadequate supply of a hormone produced by the kidneys (erythropoietin). Taking certain drugs used to treat lupus (azathioprine or cyclophosphamide) can cause loss of bone marrow. There is also a very specific autoimmune type of anemia called hemolytic anemia, which is due to the premature destruction of red blood cells. Hemolysis is most commonly due to antibodies that attach to red cells, destroying the cells faster than they can be produced. Essentially it is one more way lupus attacks healthy cells you need, mistaking them for invaders. Some people with autoimmune hemolytic anemia may have no symptoms, particularly when the attack on the red blood cells is mild or it develops gradually. Others have symptoms similar to those that occur with other types of anemia (such as fatigue, weakness, and paleness), especially when the destruction is more severe or rapid. If you are simply anemic, your doctor may have you take iron supplements to help boost production of red blood cells. Treatment for more severe cases of anemia and hemolytic anemia involves greater intervention and includes blood transfusions, treatment to strengthen your immune system, corticosteroids, and other medicines to support healthy red cell production and stability. If your doctor regularly checks you for anemia — which some do with their lupus patients — you probably know whether you are anemic. But if you have these symptoms, and lupus, and you have not been screened recently for anemia, it is wise to ask your doctor about your symptoms and doing a blood test.